Welcome Aboard! 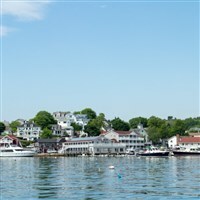 Travel in comfort aboard our deluxe motor coach to the resort town of Boothbay Harbor, Maine, "The Boating Capital of New England" for a summertime get-away! 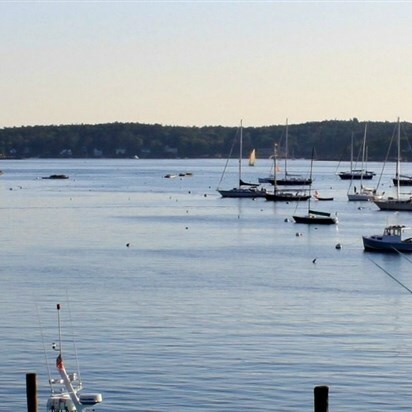 After checking into the Boothbay Harbor Inn, a waterfront hotel located on the East side of beautiful Boothbay Harbor for the next three nights, we are treated to a delicious buffet dinner at the hotel. 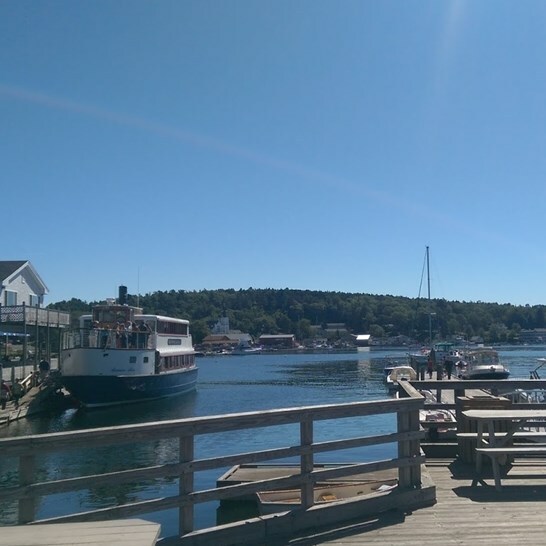 The Boothbay Harbor Inn is conveniently located near the famous Boothbay Harbor Footbridge, and is a short walking distance from the center of town. After a buffet breakfast we depart for Boothbay Railway Village or Coastal Maine Botanical Gardens. Please provide an attraction choice when making your reservations. 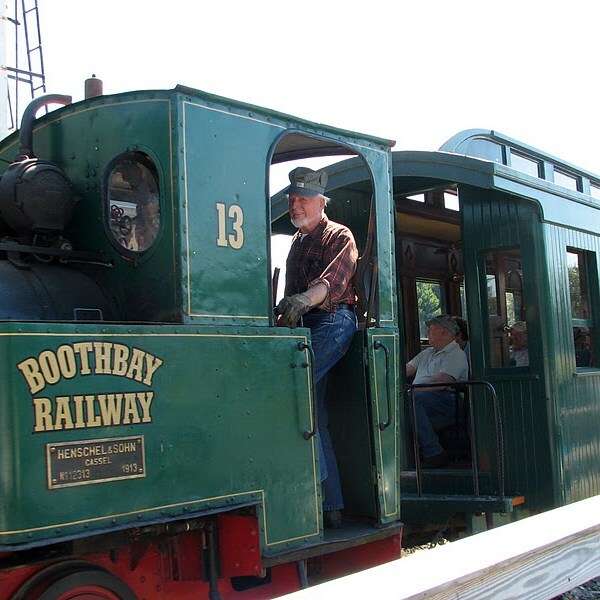 Let history move you at the Boothbay Railway Village. Nowhere else in New England can you ride the rails behind an authentic steam locomotive surrounded by historic Maine buildings preserved in a recreated village, and view a collection of 60 antique autos. When you visit the Museum, you'll learn about how technologies like steam engines and the automobile changed life along the coast of Maine between 1850 and 1950. Your admission entitles you to a train ride on an authentic steam locomotive, a vintage Ford Model T ride through the Museum grounds, and access to the two-dozen authentic period exhibit buildings and the gift shop. Also included is a behind-the-scenes steam shop tour where you learn in depth explanations of narrow gauge railroad history and steam boiler operations. 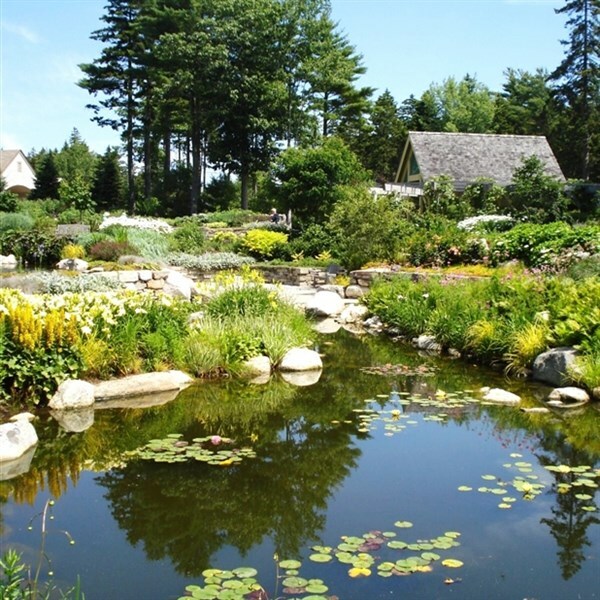 Or be dazzled at the Coastal Maine Botanical Gardens. These magnificent gardens are one of Maine's most popular attractions. The Gardens 295 acres of tidal shore land contains well groomed trails that wind through forest, meadows and brilliant ornamental gardens blooming with both native and exotic plant species. While walking through the gardens view many sculptures and works of garden art created by regional artists. There are benches placed throughout the grounds for you to rest and take in the scenery. 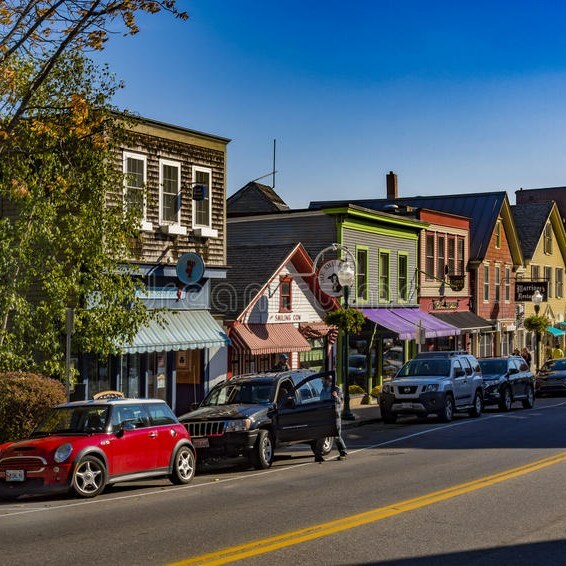 Following our tours, you will have leisure time to enjoy strolling through the winding streets of Boothbay Harbor Village while exploring the vast array of galleries, shops and eateries along the waterfront. Lunch is on your own. After lunch we climb aboard Cap'n Fish's Boat Trips for a delightful Boothbay Harbor cruise, which takes us past beautiful summer homes, picturesque lighthouses, small islands, snug coves, and offers us the opportunity to view seals in their natural habitat on rock ledges. Before returning to our hotel, enjoy dinner on your own at a local restaurant that serves up great local flavors. After a buffet breakfast you are free to design the rest of your day and do as you wish! There will be transportation to and from the Village of Camden, Maine. 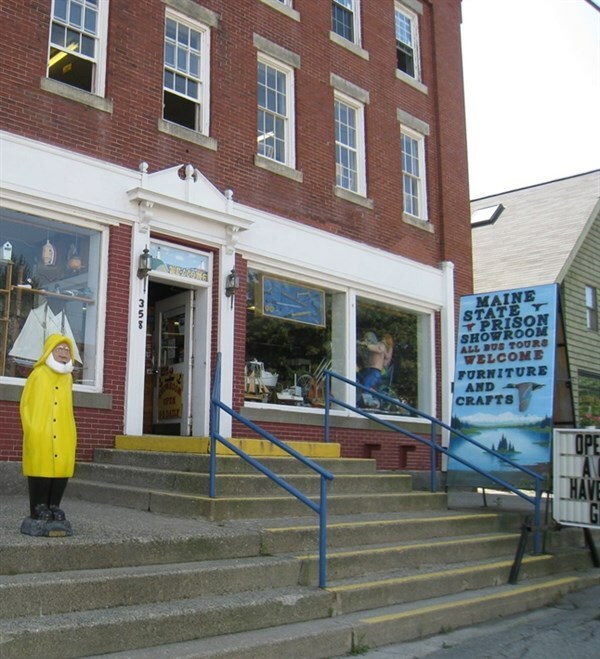 Camden offers you a wide variety of attraction options for you to enjoy and create a day of adventure and exploration on your own including a schooner cruise; the Farnsworth Art Museum; the Maine Lighthouse Museum; and the Sail, Power and Steam Museum. Additionally, the charming Village of Camden offers you quaint shops, boutiques, galleries, restaurants to explore. Lunch is on your own. This afternoon we depart for Thomaston, Maine and the Maine State Prison Store. Enjoy some leisure time exploring and browsing the store for wooden products handcrafted by the prison inmates. Later we return to our hotel in Boothbay Harbor where you will have some time to relax and freshen up before going out for our Downeast Clambake on Cabbage Island. Your Downeast Clambake adventure begins with a scenic tour of Boothbay Harbor aboard the "Bennie Alice", en route to Cabbage Island in Linekin Bay with all the traditional clambake fixins await you. Cabbage Island is 5-½ acres of unparalleled beauty in the heart of Linekin Bay. From any compass point, there are panoramic scenes to delight artists as well as those folks craving quiet and relaxation. The island facilities are yours to enjoy! Island activities include fishing from the dock, horseshoes, volleyball, badminton, or if you prefer a less active diversion - relaxing along the shoreline watching the fisherman haul in their traps. You are free to explore every inch of the 5-½ acre island! After cruising Maine's magnificent coastline on this relaxing and entertaining island tour, we return to our hotel for a restful night's sleep. After a buffet breakfast we depart for home with many fond memories of our delightful tour of coastal Maine. This summertime get-away adventures allowed us to discover and enjoy some of the magic created by Maine's spectacular lakes, magnificent mountains, sweeping coastal scenery and unique seaside communities!